One of my very earliest memories is of me waking up in the middle of the night, creeping ever-so-silently to the living room, muting everything (and checking that it was muted about a million times), and then playing Sonic the Hedgehog on the Sega Genesis and Super Mario on Super Nintendo. Upon hearing that I was reading Console Wars, my mom brought that story up to me herself. Apparently despite my best efforts, she saw me do this midnight gaming regularly and didn’t have the heart to send me back to bed. Thanks, mom. It was memories like these that flooded my brain when I first saw Console Wars on display at a small science fiction bookstore in San Diego. Well, those and the more recent ones of Ready Player One (basically one of the most awesomely fun books of all time [and one I recommend to those interested in in-game property law]) and Indie Game, a 2012 movie that made me shed tears of admiration. 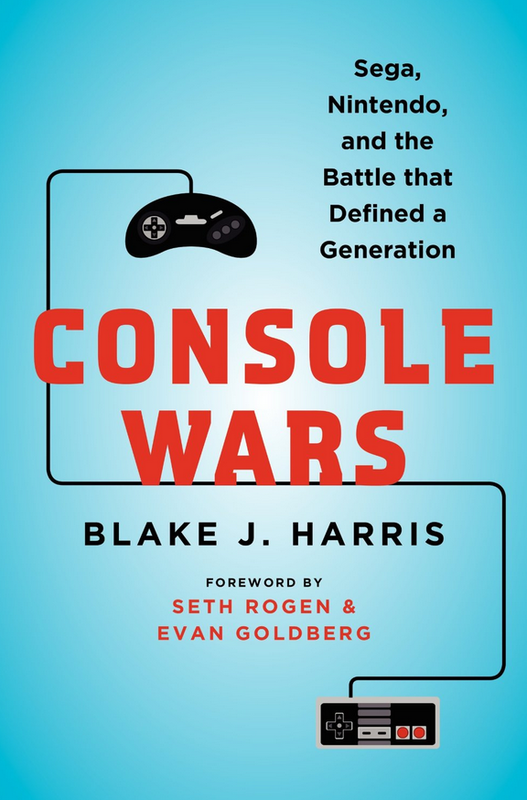 The book tells the story of the early console wars, with 95% emphasis on the battle between Sega Genesis and Super Nintendo (i.e. my two earliest consoles). [The book ends with the dawn of the PlayStation, and N64 on the horizon]. While some of the recreated dialogue is more than a little corny, the story itself is so interesting. What struck me the most was the parallels between the Nintendo and Sega battle and the one between Apple and Google. In particular, both Nintendo and Apple have favored more control while Sega and Google have battled this with platforms that are much more open. In the case of Nintendo, it worked. Another tidbit — my mom worked at Silicon Graphics in the early 90s and I remember playing N64 (Mario Kart!) when I’d go into work with her. And one more — Google, which gave me my first post-high school job, took over the very buildings Silicon Graphics had during those early heydays. This entry was posted in Book Reviews and tagged academica, bibliophilia, Book Reviews, History, Nintendo, Sega Genesis, videogames on January 31, 2015 by heathermichellewhitney.